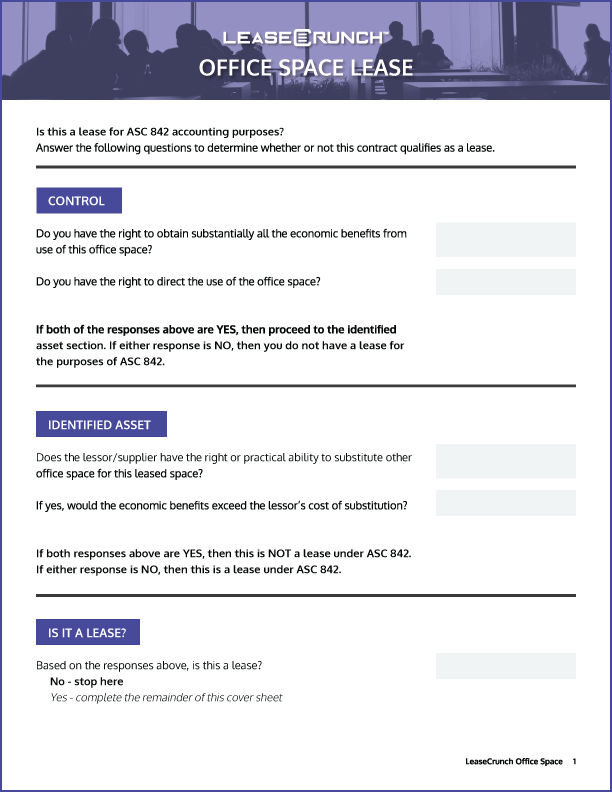 Provide this resource to your clients to help them navigate their initial journal entries. 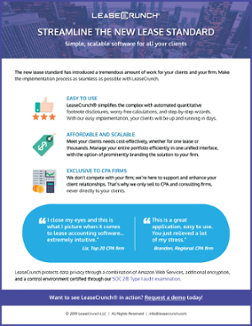 Discover simple, scalable software to streamline the new lease standard for all of your clients. 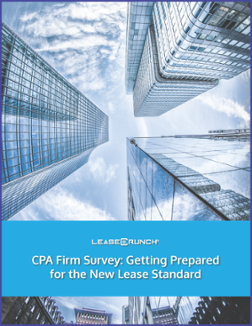 Grab this report today to get unique insights into CPA firms’ views on the new lease standard plus their clients’ preparedness. 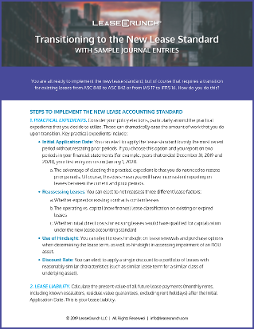 Provide this quick reference document to your clients to give them an overview of the new standard, the impact, next steps, and how you can help. 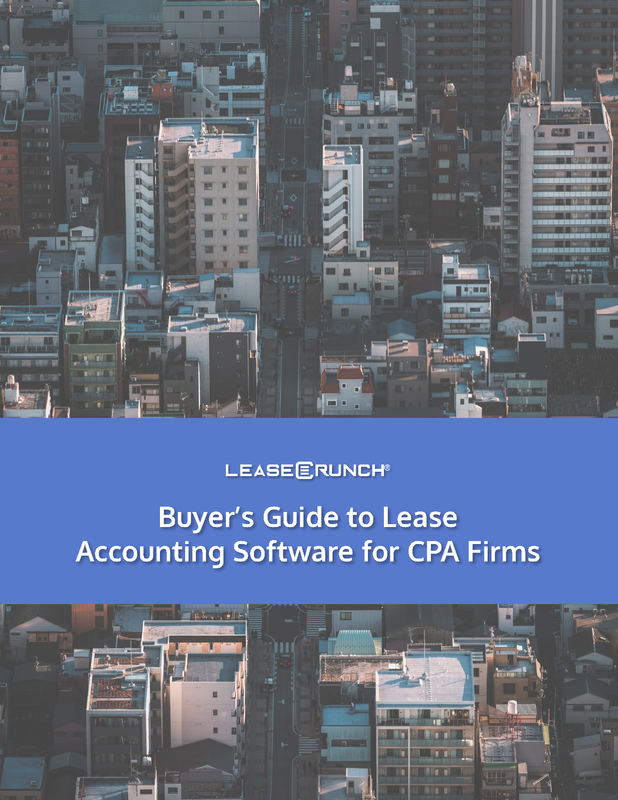 Use this guide to evaluate lease accounting solutions to help you and your clients implement the new lease standard. 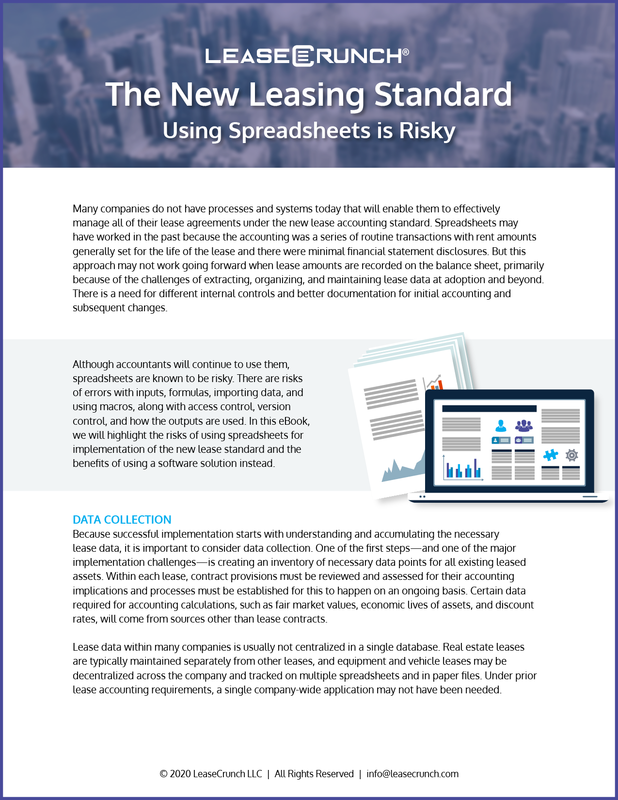 Brand this guide to your firm then provide to clients to explain why using spreadsheets for the new standard is risky. 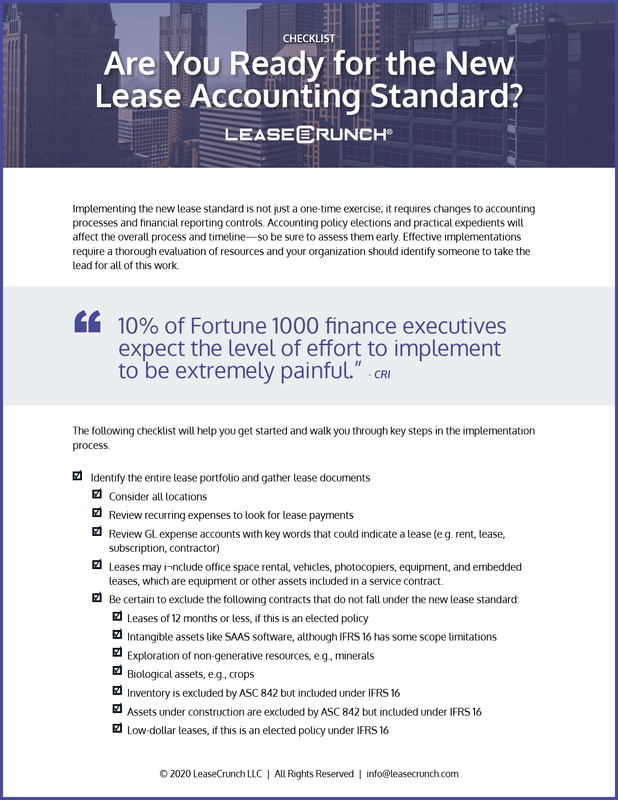 These checklists will save countless hours of work as you review existing leases in advance of the new lease standard. 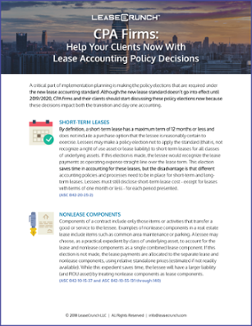 Help your clients make the right policy elections for a smooth transition once they implement the new lease accounting standard. 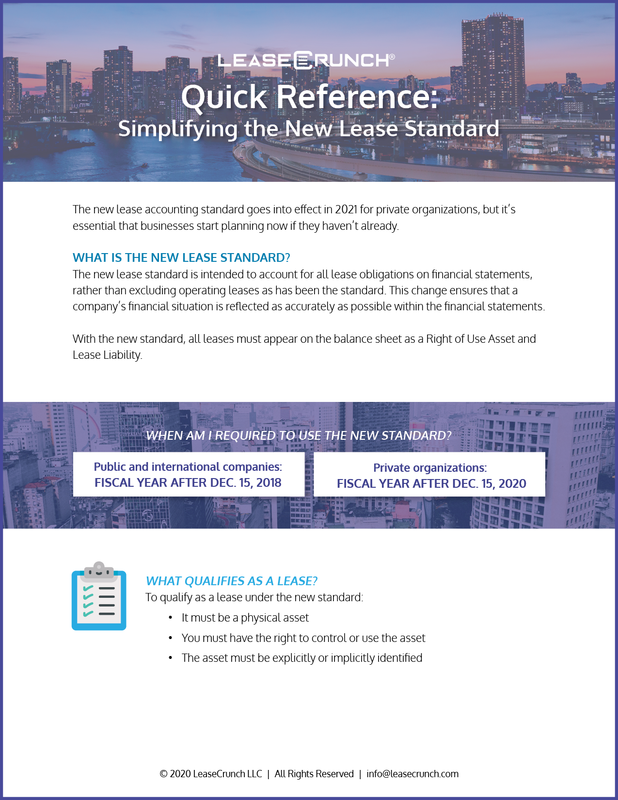 Add your logo and provide this actionable checklist to your clients to gauge their readiness for the new lease standard. 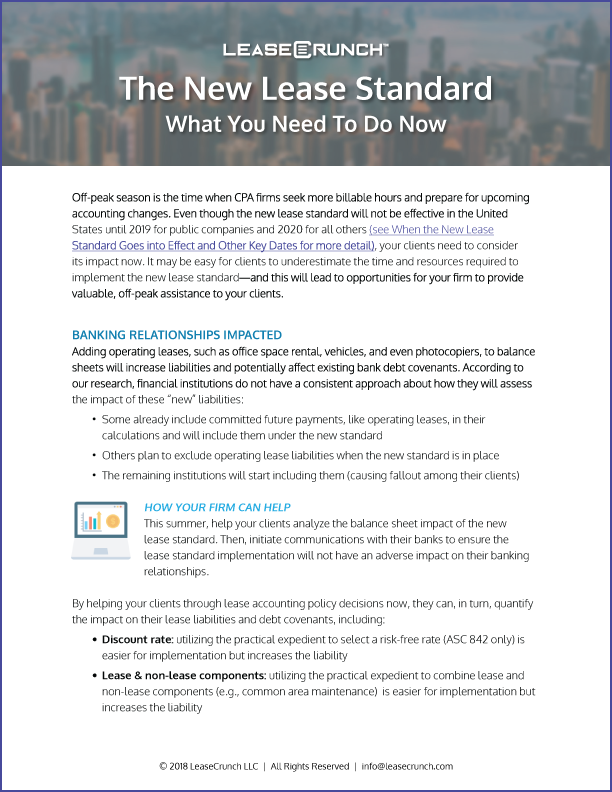 In this guide, learn how you and your clients can prepare for the new lease accounting standard before it goes into effect.